Bruce Springsteen and Employee Engagement! 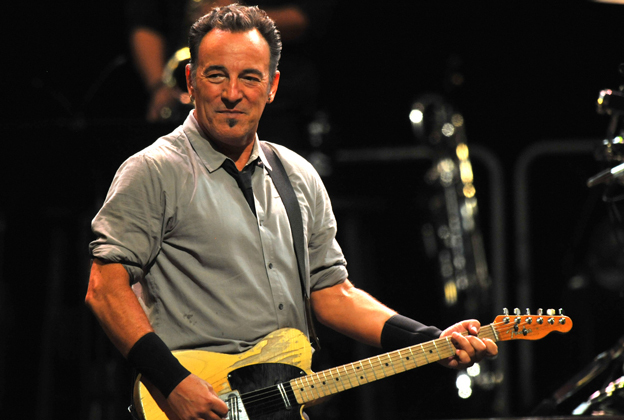 What does Bruce Springsteen and Employee Engagement have in common? The answer in a second. But first. Quick! Close your eyes and imagine your all your organization’s various processes as an expensive golden chain link bracelet. Gorgeous. Now, keep your eyes closed: Which link in your organization’s process is Communications? For too many, it’s in one of the last positions. Is your Comms team brought in only after a new employee rewards system or human resources policy or pick any type of idea or change has been decided upon and is ready to roll out? You know, the situation in which the Chief Marketing Officer or the Chief Information Officer or the Chief Whatever Officer calls in the Director of Communications and says, “Tell everyone this is happening” type of approach? Put Communications foremost in your strategy at every stage! Instead, consider what might occur if management brings the Comms Director to the table at the planning stage. Your Comms Team should be experts in crafting and guiding strategy to drive Employee Engagement. Last Friday, I was fortunate to lead a “Lunch and Learn” session with the super-committed Communications Team from Ireland’s electricity company, ESB Group. We explored and discussed a variety of ways to better connect the company around ideas of efficacy and activation. How can you reduce the work-load from first reports and get employees to comply with a new policy – on their own accord –and happily??? Who are the various department influencers out there beyond supervisors who could help promote the new idea internally? Conversely, who are the known naysayers and what can be done preemptively to help bring them on board to champion an idea? What will it take to properly socialize your new idea? Is there a way to incrementally roll out the new idea in controlled phases and make it fun? How do you socialize the new idea? Is there a way to gamify the new idea? How can you create a friendly competition with real prizes around the new idea? What’s the #Hashtag around the campaign on social media? It might be as simple as a popular ESB competition going on right now to winBRUCE SPRINGSTEEN tickets which, I’m told, has awesome employee engagement behind it and proves you don’t have to be “Born in the USA” to love the Boss. Good Communication ideas aren’t simple. They’re strategic. Employees often fear change, because it sounds like a code-word for MORE WORK! So, bringing in your Comms Team at the planning stage (and throughout the entire process), can help your organization better strategize, plan and implement change. Think of your Comms Team as People Strategists! And since any organization is comprised of People (NOT "HUMAN CAPITAL" – Blech, what a term), you need those People Strategists at the onset of any new idea, not merely in the implementation phrase! It’s the human way and it’s the right way. Research (duh, not surprisingly) shows that employees who have fun, feel valued and therefore are more productive! Get Real and Get Going! Details Matter! Don't put your hands in your pockets! What you do sends a message to your audience – even before you open your mouth. "When presenting, what do I do with my hands when I'm not gesturing?" That question came up again last week as I worked with a dynamic group of senior leaders from a large multi-national company. 1. Let one arm rest loosely by your side while you gesture broadly with the other. 2. Allow both arms to rest by your sides if you're going to lean in with your upper body to "confide" something to your audience. What I don't ever suggest however, especially for men, is to put your hands in your trousers' pockets. Gents: Do not put your hands in your pockets! This invariably sends a negative message. You may be simply uncomfortable or nervous. But to your audience you probably look at best - too casual or maybe fidgety, at worst - cocky, or disrespectful. As he indicated, his email included that photo of me I posted up above. And here's the contrasting "Hands in Pockets" look he referred to from when Irish Rugby player Ronan O'Gara met Queen Elizabeth back in 2009. I didn't live in Ireland when this took place so I missed the outcry his body language sparked. But a quick Google search found the media labeling him everything from a "lout," to "disrespectful," to a "disgrace." Turns out, according to subsequent interviews, O'Gara apparently was just very relaxed and went on to later smile and shake her hand politely. But that didn't prevent the maelstrom his pockets hands ignited. So! To avoid such pitfalls when you are next speaking before an audience, or perhaps lining up to meet with the Queen, please, please, remember that seemingly small details can have large consequence. Thanks to my client for taking time to write such kind words and thanks to you for taking time to read! Til next time, let me know what you do with your hands when presenting!